even a couple of Vampires. We create these canes and sell them at an afforable price. 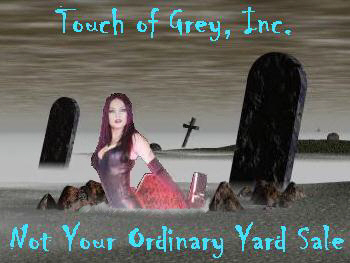 By Touch of Grey, Inc. 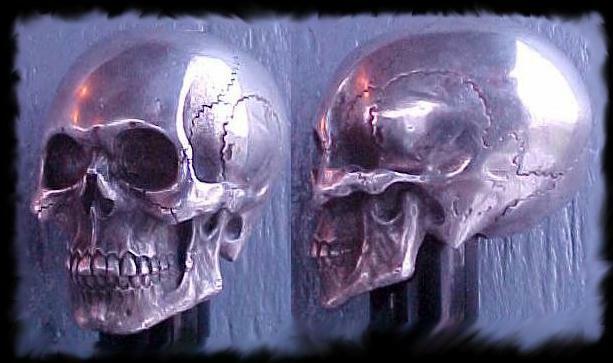 These skulls are die-cast metal with an electroplated gold or silver finish. Skull heads come on a gloss black finish wood shaft. The wood shaft has a brass collar and comes with a rubber ferrule. The wood shaft is 15/16" in diameter and tapers to 3/4". Overall length on these canes is 35" to 36". 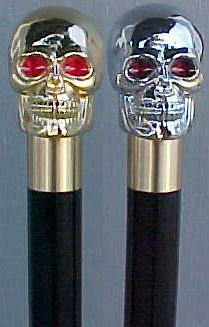 The Red Eyed Skull Canes are $48.00 with FREE SHIPPING in the U.S. This very detailed resin skull comes on a gloss black finish wood shaft. The wood shaft has a brass collar and comes with a rubber ferrule. The wood shaft is 15/16" in diameter and tapers to 3/4". Overall length on these canes is 36". 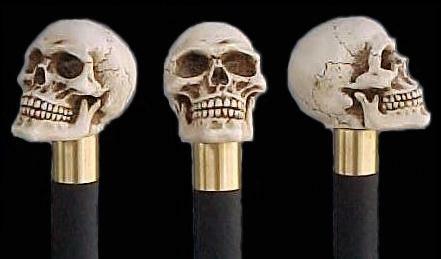 The Grim Skull Cane is $41.00 with FREE SHIPPING in the U.S. 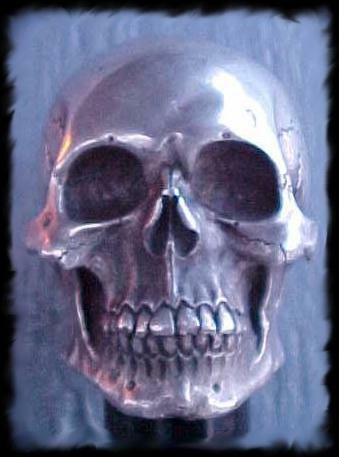 This is a chrome plated resin skull. The Silver skull comes on a gloss black finish wood shaft. The wood shaft has a brass collar and comes with a rubber ferrule. The wood shaft is 15/16" in diameter and tapers to 3/4". Overall length on these canes is 36". 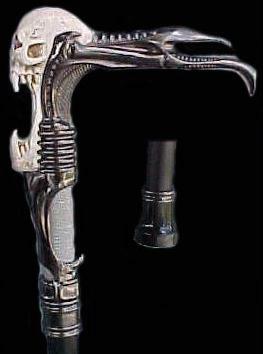 The Silver Grim Skull Cane is $41.00 with FREE SHIPPING in the U.S. Overall length on this cane is 36". The 6" long handle is metal with wire wrap. The ornamental head of the cane is 8 1/2". The cane shaft is 7/8" diameter tube steel with a black finish. The ferrule is steel with a wire wrap accent and covered with a rubber end cap. 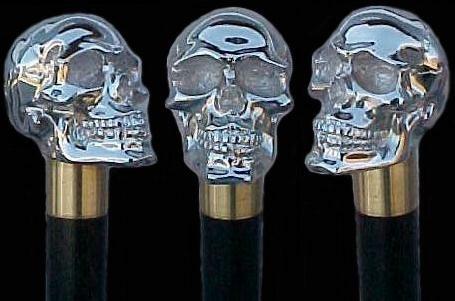 The Screaming Skull Canes are $48.00 with FREE SHIPPING in the U.S. Note: This cane is not in stock and we do not have an estimated time of arrival on our next shipment. 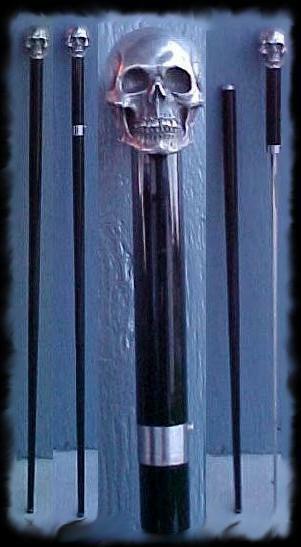 Both skull canes have a heavy silver plated skull (2 3/8" x 1 3/4" x 2 1/2" H.) with a black lacquered glass fiber shaft. The sword cane contains a 25" blade that is tempered high-carbon steel forged into a grooved triangular section with needle sharp point. The sword is released by operating a push button latch. The glass fiber shaft is 7/8" in diameter and tapers to 1/2".Overall length of the cane is 36 3/4". 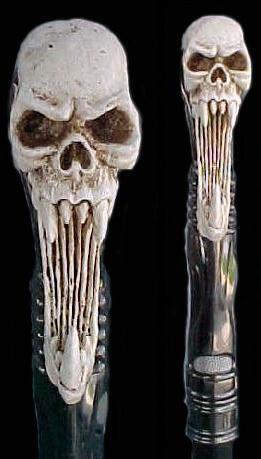 The silver plated skull sword cane is $137.00 including priority mail shipping. The silver plated skull cane (no sword) is $61.00 including priority mail shipping in the U.S. If we do not have either of the of styles in stock you may special order them. 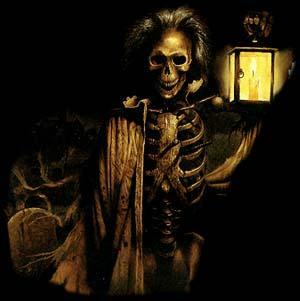 We accept Money Orders, Personal or Business Checks. Shipping on International orders is determined by location. We sell our canes as collector items.